This little guy is cleaning up super well.Paint is 100% Pin striping is 95% Never seen a cage where the struts are just pressed in -no screws or clips. 190?? Can you really call an 8" fan a "Tank"? Ted Kaczor can probably repair that for you. PM him. He's in the member directory. I would contact Darryl Hudson for the brushes. He is also listed in the member directory. I think this fan is more commonly termed an R&M open commutator. It does have a commutator that's open to the top, right? 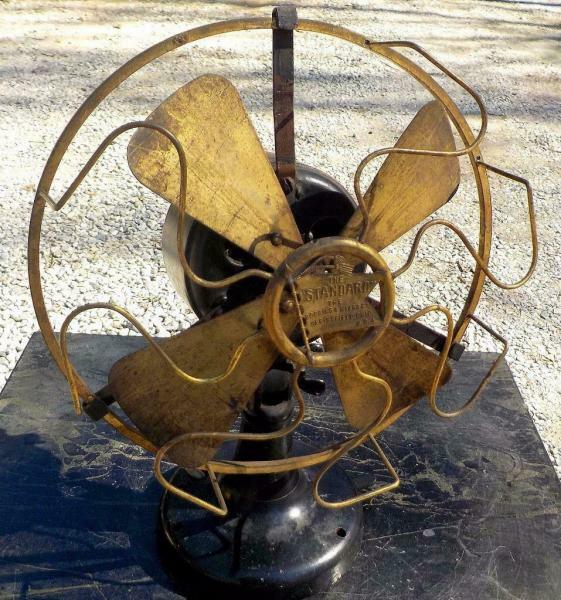 I can't tell from your pics here, but I thought I saw a 360 degree series of pics of this fan. But it ain't no Tank. 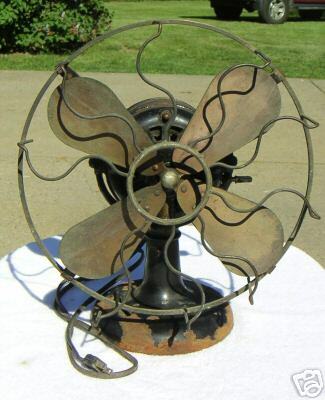 I think this fan is more commonly termed an R&M open commutator. But it ain't no Tank. The fan was placed on the market known as they "Standard"(R&M trademark name) Home Fan if you want to get down to the knitty gritty. 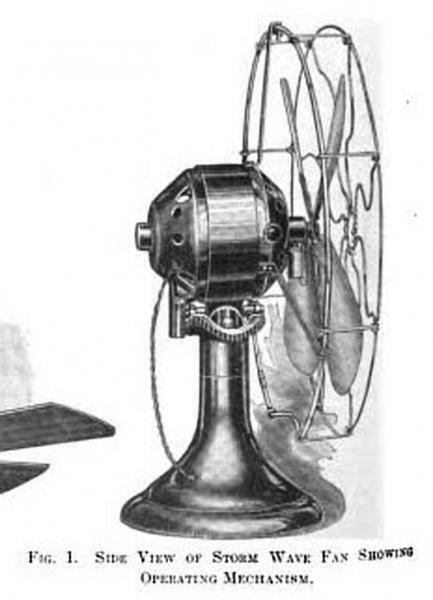 This is a 1905 introduction model Westinghouse fan motor. 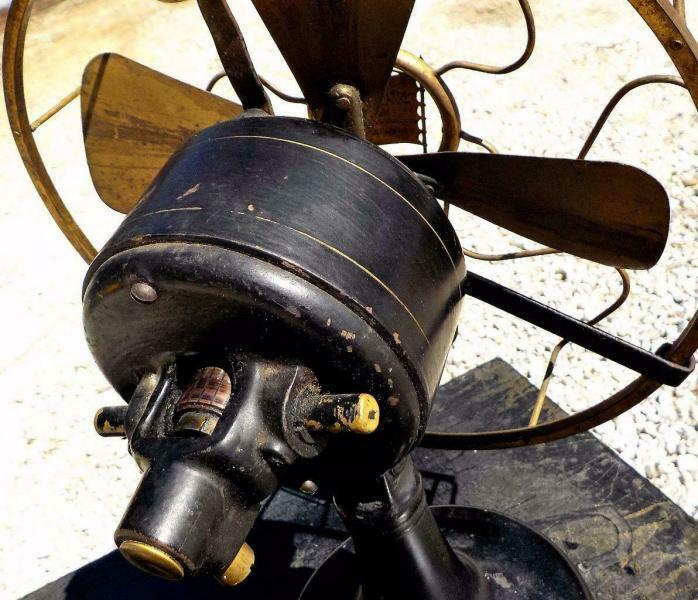 This is a Storm Wave fan motor. But you can call it anything you want. 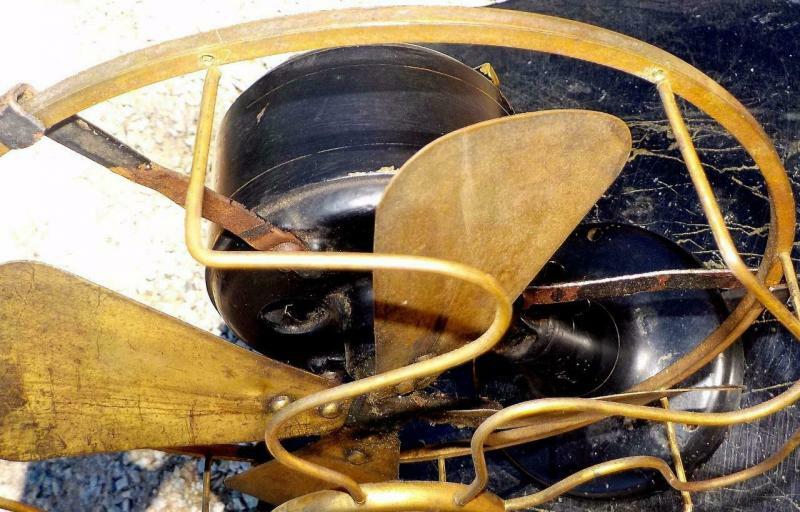 Steven needs a guard wire replacement and guard repair for his Robbins & Myers "Standard" Home Fan. Page processed in 0.1733 seconds (18% database + 82% PHP). 29 queries executed.